(Rather than posting links every Saturday, as I used to do, I'll instead gather them up and post them when there are enough to post. 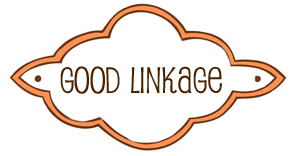 Instead of "Saturday Linkage", I'll call it "Good Linkage", which is considerably less clunky than the alternative of "Whenever-I-Feel-Like-It Linkage.") Enjoy! Thanks for the links! I had fun discovering Joy’s Hope. Wow – just finished Rachel’s Talk at Death is not Dying….thank you for the link. But basically, I’m asking you to send me a list of your ten favorite hymns. List these hymns in your order of preference. So your #1 hymn would be the one you feel is the best, and so on. I will be giving your first choice 10 points, your second choice 9 points, and so on. Submit your list to me at sherryDOTearlyATgmailDOTcom. Write “Hymn Survey” in the subject line. If you like, you can submit a justification for each hymn. Or you can send me a link to an audio or video version online. Include the name of the hymn’s author or lyricist and the composer of the melody you prefer if at all possible, especially if you think I might be unfamiliar with your particular hymn. At the beginning of June I will tally up the totals, and I will pull from the submitted pieces why one reader or another liked a particular hymn (naming the reader, of course). That way we’ll be able to hear from a whole bunch of people why they love one hymn or another. I will then count down from 100 to 1 on my blog over the course of the summer the top choices of what folks feel the best hymns of all time are. PLEASE SEND YOUR LIST RIGHT AWAY IF YOU WANT TO PARTICIPATE. The deadline is Sunday, May 31st. That “Get Rich Slowly” site is great! I’ve been reading over it for two days now. Thanks for the “Good Linkage” and explanation. I was seriously missing the Saturday Linkage.. Seriously. Let me know what you think. Unfortunately I wasn’t able to email you through your Contact page. My computer insists on having Outlook as its default, even though I don’t have Outlook. Oh well. Anyhoo, I entered my email in the comment form. You can also contact me by leaving a comment at trialanderrorhomeec.blogspot.com. I look forward to hearing from you. Thanks! I couldn’t email you because of the same problem the person above me had. But I had a question about a post I saw quite a while ago that was called “Holy Shmokes, that’s a lot of links!” or something like that. I bookmarked it on my laptop, but that laptop got a virus. I’ve looked through your site but haven’t been able to find it. It was a list of good links for children. Could you please point me in the right direction so I can find that list again? I would love to have it for my kids to play good, educational games and such. Disregard my previous request. I found it bookmarked on my other computer. Thanks. It’s a great list.